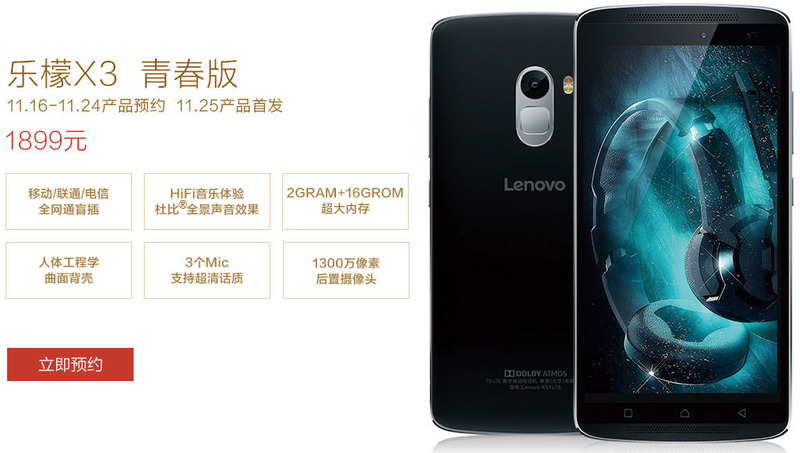 It seems like BoomSound-touting HTC smartphones would have to battle it out against the newly announced Lenovo Vibe X3 as the latter is marketed with an emphasis on its audio capabilities. Aside from its dual front-facing speakers, the Vibe X3 also features Hi-Fi 3.0 with a dedicated ESS Sabre ES9018K2M or Wolfson8281 DAC, separate speaker amplifiers, and three noise-cancelling microphones. All these are enough to make the Lenovo Vibe X3 a worthy opponent. Aside from its superb audio capabilities, the Vibe X3 is also a very capable device. It packs a 5.5-inch display of 1080p Full HD resolution. It is powered by either a 64-bit hexa-core Qualcomm Snapdragon 808 processor with 3GB RAM or a 64-bit octa-core MediaTek processor with 2GB RAM. Regardless of the processor and the amount of RAM, it will have a SensorHub co-processing unit and will be available in 16GB, 32GB, or 64GB of expandable internal storage. Imaging-wise, the Vibe X3 packs either a 21-MP or 13-MP primary camera with dual-tone, dual-LED flash and either an 8-MP or 5-MP front-facing camera, depending on the variant. A 3,600 mAh or 3,400 mAh battery will also keep the phablet's lights on. Its connectivity options include Wi-Fi, Bluetooth, GPS, and LTE. It will also have a fingerprint scanner at the back. 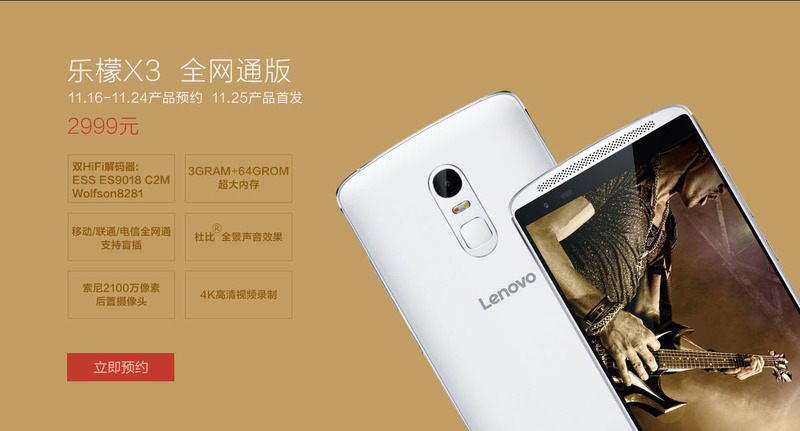 The Lenovo Vibe X3 runs Android 5.1 Lollipop out of the box with the latest Vibe UI on top. To be released on November 25, 2015, the Vibe X3 will retail for $300 for its most affordable variant and goes up to $470 for its most premium version.